Book your tee time by contacting our office by email, or calling our office / administration at +45 3963 0483. Tee off intervals are 10 minutes, every other tee off time can only be booked and confirmed in the clubhouse by visiting our shop / reception (they are combined). At early morning rounds, we kindly ask you to pay in the shop after the round, and after office hours our Restaurant takes care of greenfee payment. Greenfee covers the whole day (9,18 or +36 holes) and includes unlimited range balls. A handicap of 31.8 or lower is required for golfers, who do not play with a member of the club. A KGK member (Flex-memberships not included) may take three guests at a reduced daily fee of 300 DKK/guest, and greenfee for guests from Rungsted GK, Hornbæk GK, Gilleleje GK, Furesø GK*, Bokskogen (SE), Falsterbo (SE), Ljunghusen (SE), Stockholm (SE), Göteborg (SE), Helsingin (FI) and Gullane (UK) golf clubs are also welcome at a daily rate of 325 DKK. Holders of valid Introduction card from NGU, DGU or GAF should contact the club office at kgk@kgkgolf.dk before play. Holders of valid PGA card should contact our Head Pro Klas Olsson at klas@kgkgolf.dk before play. *The daily rate for guests from Furesø GK is 332,50 DKK on weekdays and 402,50 DKK on weekends. Currently (Feb. 2018), we have available spots for membership at Royal Copenhagen Golf Club after many years with long waiting lists. 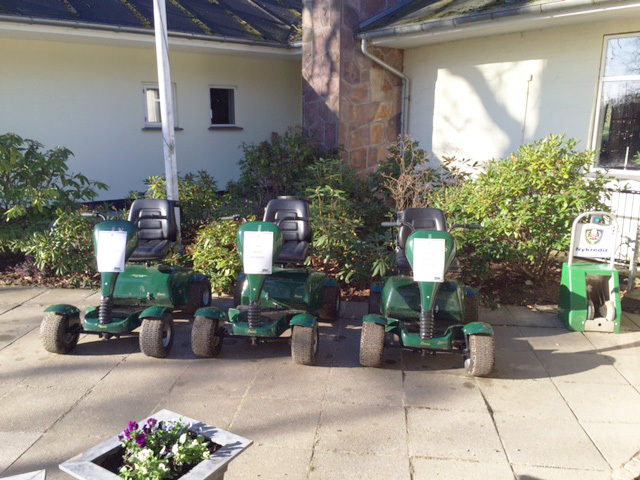 A sign-up form may be required by email at kgk@kgkgolf.dk. If you are a group please contact us for an offer.